A firearm is recovered by law enforcement. •ATF receives recovery information in e-Trace. •Trace reveals origin of firearm manufacturer or importer. 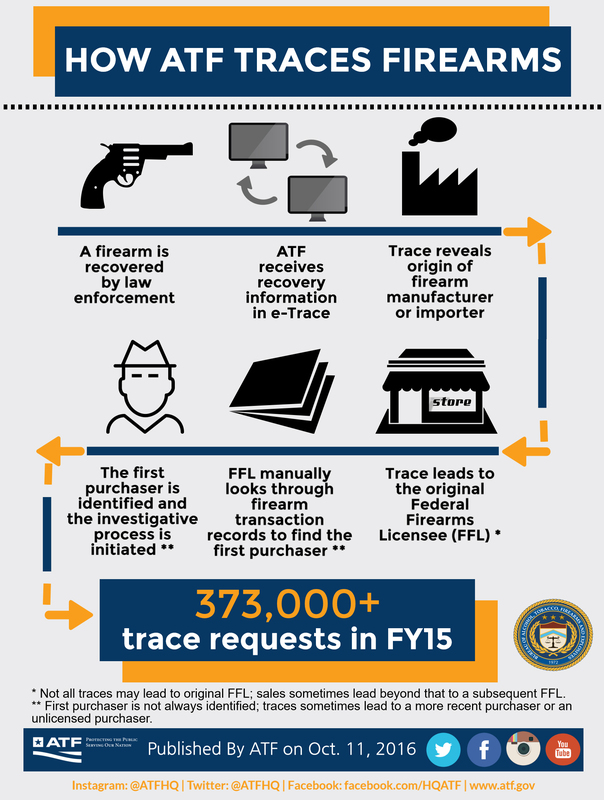 ATF performed 373,000+ trace requests in Fiscal Year (FY) 2015.